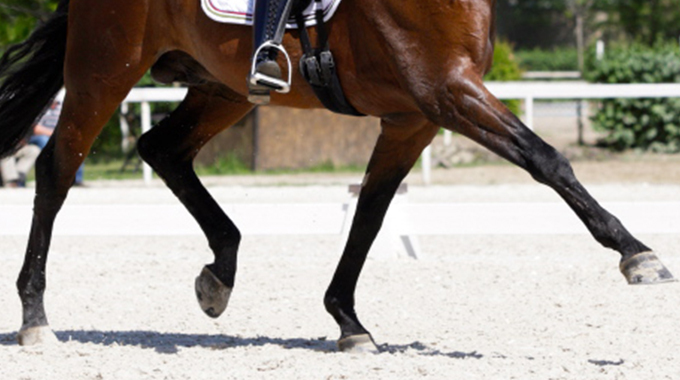 Here are a few great exercises to develop suspension in the trot throughout the levels. The lengthen trot demonstrates an increase in ground cover and lengthening of the stride. 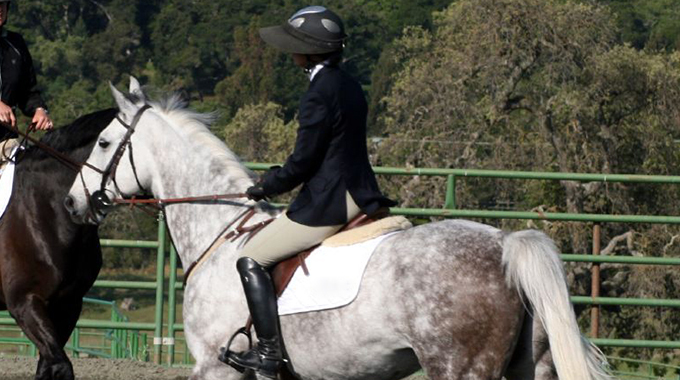 Trot poles are a great way to introduce the horse to reaching with the stride. It gives him a focus point as well, which naturally lifts his body and teaches him to lengthen. Set them comfortably apart to start, 4 1/2-5 feet, and as he gains consistency increase the distance. The medium and extended trot really have more to do with correct building of the collection, increasing the horses ability to carry weight on his haunches, which then enables him to push off and lift his front end. Trot canter transitions are very important to build quick and effortless reactions from the leg and hand. This teaches the horse to jump up into the contact and respect the leg in the correct way. I usually only ride 4-5 canter strides before returning to the trot. Also this develops the quick power-up button with less and less effort on the riders part. This is crucial to develop suspension. Like an airplane. You need a pushing engine to lift the nose off the ground. Same concept. Quick and active forward and back transitions in the trot. 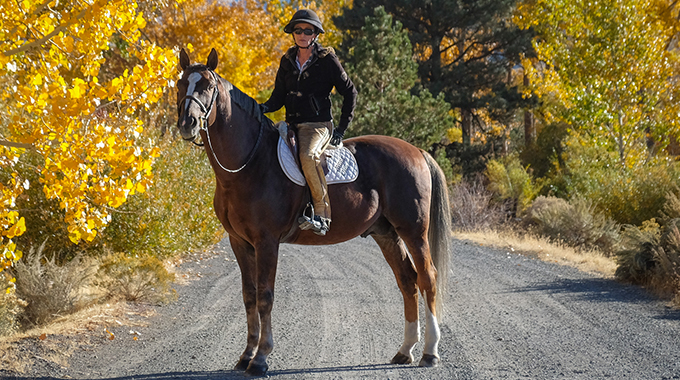 Start with a few collected steps and then push forward creating a lot of thrust — not too many steps to start with (this is where the transitions from trot canter will help). Slowly you increase the number of steps you push out, but always staying quick to rebalance him before he gets flat and running. When the horse anticipates the leg aid and hand aid, and reacts in a positive manner, the transitions will become very successful. Over time this will develop a beautiful and well balanced extended trot. 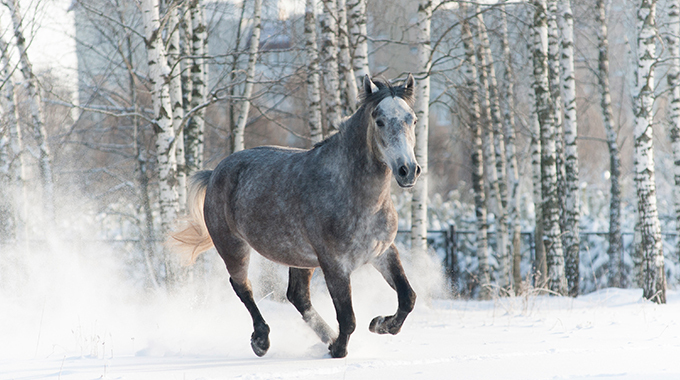 For the more advanced horse: walk pirouettes at the end of the long sides with a medium trot in between. For example, if you are tracking left, ask for a medium trot, and when you reach the second to last letter make a downward transition to walk, turn a left walk pirouette and quickly ask for medium trot (you are now tracking right). Once you reach the second to last letter again, ask for a walk transition and turn a right walk pirouette. This engages the hind end and teaches the horses not to run. It also helps the rider to use the seat to re-engage him rather then using only the hand to pull him back.